On September 26, Google announced that they had rolled out Hummingbird, an entirely new search algorithm that affects as much as 90% of English search. While it may have already rolled out in August, the panic is audible as businesses scramble to update their websites and blogs. Hummingbird is Google’s largest overhaul in three years, and does present a lot of very major changes to SEO, but, most of them are good for businesses that play by the rules. 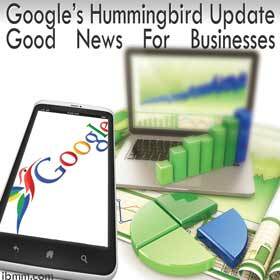 In a nutshell, Hummingbird is a mobile optimized search algorithm. Instead of using keywords, Hummingbird most often targets semantic phrases and long tail keywords most often used by mobile searches; for example, ‘the best sushi restaurants in Chicago’ as opposed to ‘Sushi restaurants Chicago’. Hummingbird also incorporates a better quality filter, and also has switched to fully secure search, meaning that you will no longer see most keyword data in your Google Analytics. Hummingbird is designed to filter out low quality articles and websites that are placed for no other reason than to gain traffic. Google’s new algorithm pays attention to consistent gain in traffic, website and social brand, bounce rate, and new pages to determine how helpful and useful you are to your visitors. If this seems like Google will be giving all of the attention to the major corporations, then think again. The algorithm seems to be paying attention to percentage of activity rather than your pure number of followers and traffic. 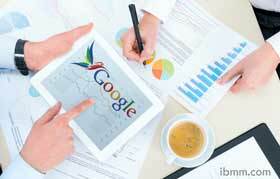 As a result of the changes, small businesses can expect to see a number of positive changes in their search metrics. Websites that formerly only ranked for a few small keywords can now rank higher for specific long tail keywords that they can answer, and other websites can’t. Specific ‘money keywords’ or ‘star keywords’ are now pretty much over with, unless you’re using PPC, because search is now focusing on specifics rather than broad keywords. For small businesses with specific pages and products, this is a very good thing. Because many long tail keywords are questions “What stores sell cheap computers?” vs. “Cheap computers” businesses can also benefit from answering questions rather than giving information or writing on a topic. Hummingbird is all about quality, so your first rule of business should be to clean up your act. Make sure your web content, blog posts, product descriptions, and guest posts are all up to Google’s standard of quality. You want them to sound and read like they were written by a talented English writer who knows what grammar and spellcheck is. You can also check for non-semantic keywords and re-arrange them so that they are as semantic as possible. Use as many stop words as you need, and if possible, ask questions with your keywords. For many, the biggest adjustments are the loss of keywords and the loss of single money-making keywords. However, both changes make way for something bigger and better. Lead tracking is and always will be the best way to keep up with your traffic, because it tells you which methods and pages provide more profit, rather than simply which provide more traffic. Single keywords are now being replaced with long tail keywords, which will hurt traffic for some, but the important thing to remember is that long tails have always had a higher sale rate than single keywords. So, while your traffic might drop, you might actually see your sales going up, because your traffic is more targeted. While improving quality, decreasing irrelevant links, and changing keywords might seem challenging for some, the overall changes look to be very good ones, especially for small businesses. Rather than making your PR the most important part of the algorithm, Hummingbird makes your sites usefulness, exact match to search phrases, and quality the most important. Of course, an active social and brand profile helps as well, but you can still rank without them. If you’re already ranking well and haven’t seen a significant drop in your traffic then you shouldn’t scramble to make massive changes to your site. Instead, just do a review of your content to improve quality, and then make sure that future content is optimized for Hummingbird.